WebVOWL Editor has been merged with the major WebVOWL tool since its version 1.1.3. You can run and test it by activating the editing mode in WebVOWL or directly by visiting the following links. 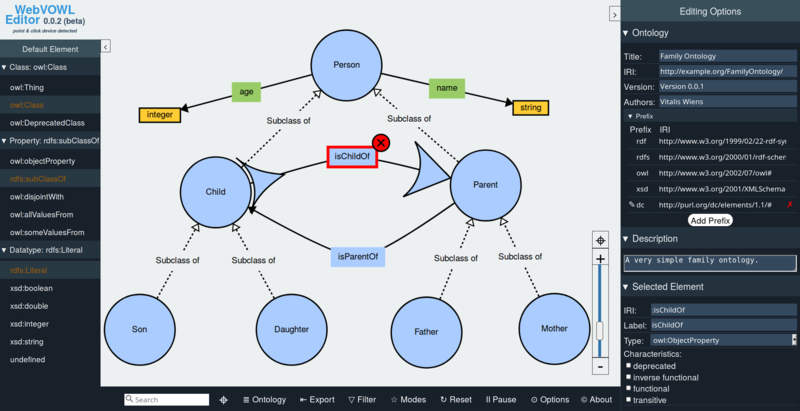 Watch the demo video to learn how easy it is to model an ontology with WebVOWL Editor.